Of all the baseless accusations against Campus Watch (CW), the charge that CW is a member of an all-powerful, all-seeing "lobby" is the most absurd. Writing for Al-Jazeera, Ramzy Baroud, a journalist and non-resident scholar at UC Santa Barbara's Orfalea Center for Global and International Studies, is the latest to employ this tired canard against CW and its founder, Middle East Forum President Daniel Pipes. In its early years, the mission of combating any kind of dissent against Israel within the US was entrusted to the likes of notorious Zionist Daniel Pipes and his "Campus Watch," a Big Brother type of organisation aimed at intimidating teachers, scaring off students, and monitoring and reporting nonconformist educational institutions across the country. This account is inaccurate in several ways (e.g. Martin Kramer had no role in founding Campus Watch), but I write specifically to state that no "Lobby" told me to start Campus Watch. Neither the Middle East Forum nor myself has ever taken orders from some mythical "Lobby," and specifically I decided to establish Campus Watch on my own, without direction from any outside source. Mearsheimer and Walt did not correct their transparent error, instead issuing countless, error-riddled swipes at Pipes and CW over the years, swipes that live on with the hapless Baroud. Baroud ends his harangue against CW with a back-handed endorsement, asserting that "Not only did Pipes miserably fail, but his tactics unwittingly inspired real, often heated debates and discussions across American campuses." But if Pipes had failed, Baroud would hardly be ascribing such powers to CW fifteen years later. And those "often heated debates and discussions across American campuses" were hardly unwittingly inspired. Would that such debates carry on indefinitely. 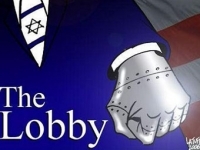 That is, if "the lobby" permits.